FRAMED PRINT. 22x18 inch (56x46cm) Framed Print with Black Satin with Off-White Digital Mat. Artwork depicting CHARLES BYRNE, GIANT. 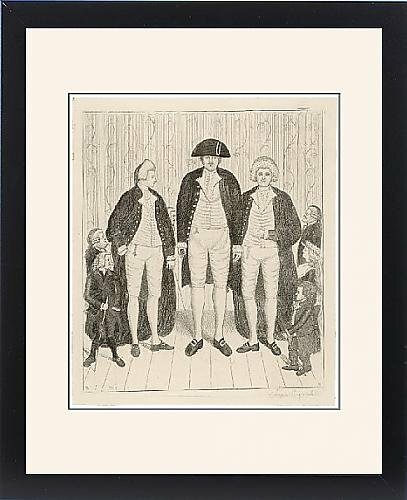 Charles Byrne (1761-1783) known as the Irish Giant, who was 8 feet 4 inches tall; exhibited himself in London. Professionally made to order in the USA. Artwork Description... Charles Byrne (1761-1783) known as the Irish Giant, who was 8 feet 4 inches tall; exhibited himself in London.